support, inspiration, and motivation so they can feel in charge and in control of their life. It’s really hard for women to get the support, inspiration and motivation they really need. BP Answers is a series of regular seminars and events focused on women’s health, education, and motivation. Topics will be answering questions on women’s health, stress (and life) management, fitness and nutrition, work-life balance and other topics relevant to women to support a happier, healthier, more balanced life. 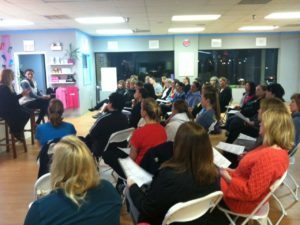 Seminars will be led by Lindsay Vastola, founder of Body Project and experienced speaker as well as feature speakers on various topics. WHO SHOULD ATTEND BP ANSWERS? BP Answers is for any woman who wants better health and well-being, striving for balance, and looking to feel in charge of her life in all aspects: personally, professionally, financially, and in her relationships with herself and others. HOW AND WHERE WILL BP ANSWERS BE OFFERED? We will offer our BP Answers seminars regularly 2-3 times each month. Be sure to keep an eye out for our email announcements and join our Facebook page for regular updates. 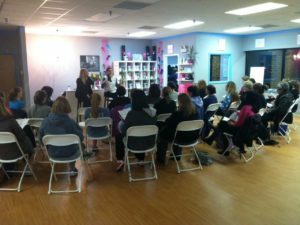 Seminars will be offered in our Robbinsville, NJ studio typically on weeknights at 7:30pm or occasionally on weekends. DO I HAVE TO BE A MEMBER OF BODY PROJECT TO ATTEND? You do not have to be a member to attend! 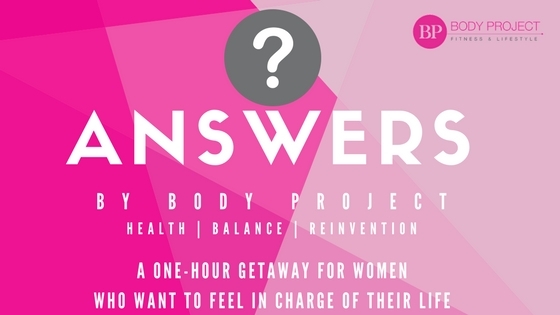 I developed BP Answers as an opportunity for any woman who wants better health and well-being, who is striving for balance, and who wants to feel in charge of her life – wherever she is in life. And, of course, among other like-minded, supportive women. HOW DO I REGISTER & WHAT IS THE COST TO ATTEND? You can reserve your seat through our secure reservation system by clicking HERE. If you’re new to our system, you’ll need to create a simple account. There is a nominal registration fee, and includes light refreshments (wine: optional!) and educational materials often provided to attendees. Online registration is $10 or $15 at the door. WHO SHOULD I CONTACT IF I HAVE QUESTIONS OR NEED HELP REGISTERING? You can email myteam@bodyprojectfitness.com or call/text 609.578.9955.